The Custard TV: Fear the Walking Dead gets off to impressive start. 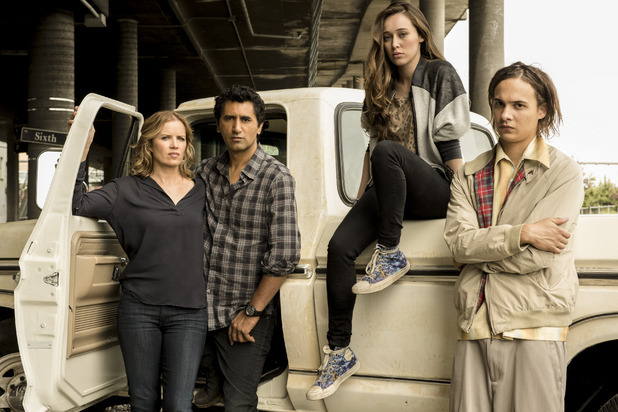 Fear the Walking Dead gets off to impressive start. The Walking Dead has undeniably come to be one of the biggest television phenomenons in history, continuously growing its horde of fans with each and every episode. These adventures of a handful of survivors in a zombie-infested world have continually topped the ratings, so it was only a matter of time before creator Robert Kirkman and the creative team behind The Walking Dead turned out a spin-off. AMC’s newest series Fear the Walking Dead, the prequel series to The Walking Dead, gives us new insight in to the zombie apocalypse we have all come to know and understand. Unlike the original series which shows us life after flesh-eating monsters have become a regularity, Fear shows us what life was like during the onset of the apocalypse, before all the death and destruction, by following an extremely dysfunctional, Los Angeles based family as they realize the world is being overrun by the undead. It should be noted before talking about the details of the premiere that creators have always said Fear will be significantly different from The Walking Dead - not only does Fear have zero relation to the comics The Walking Dead was based on, we will also be seeing a whole new “fresh” zombie compared to the rotting walkers we have grown accustomed to. Rather than producing just another zombie show, they wanted to create a show about a family and the struggles each member would face during a catastrophic event - that also happens to feature shambling flesh-eaters. The premiere introduced us to the Clark family and some of their faults, namely son Nick's addiction problems and the strain it has put on the family. The show opens with a moody scene inside an abandoned church. As Nick appears to be coming out of a drug-induced haze, he searches for his partner in crime only to find her chomping on some poor guy's face. Much like the opening scenes of The Walking Dead, this show has our attention from the get-go. After this, much of the show is spent following Nick's mom, Madison, and her live-in boyfriend, Travis, as they try to piece together his crazy story and get down to the truth. Madison and Travis both work at the local high school, Travis as a teacher and Madison as the school counselor. As they arrive at school following their son's latest episode, they find that a flu outbreak seems to be keeping a number of students home. Oddly enough, one student is already on alert suspicious of an impending doom, and when Madison finds a small knife on him at school, he ominously warns that the “incidents” are connected and we will find safety in numbers. Just as anyone would do in real life if such outlandish remarks were made, the warning gets shrugged off. But as the news begins to report on cases of extreme sickness and violence with one particular video - showing a man who was shot down multiple times by police not staying down - going viral igniting fear and panic in just about everyone. As we enter the final act of the premiere episode, both Travis and Madison have begun to suspect there is some truth to the drug addled story provided by Nick. Unable to cope with the reality of what he has seen, Nick seeks out the counsel of his drug dealer only to be led to his execution. After a short fight, Nick kills his would-be executioner, but when he returns to the scene of the crime with Travis and Madison, they find nothing but an empty car. That is until a back-from-the-dead drug dealer begins his slow attack on the family. 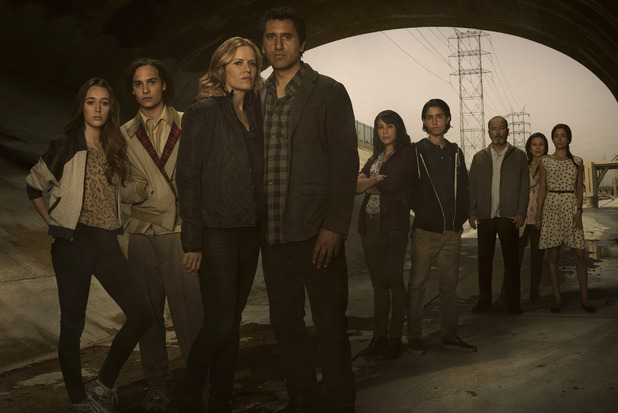 Fear the Walking Dead's pilot episode laid the groundwork for the future of the show. While it seemed slow moving at times, fans should remember the slow moving premiere of The Walking Dead which featured Rick Grimes stumbling around confused the majority of the time. With the ever increasing popularity of the original series, it is likely that Fear will soon hit the storytelling prowess that The Walking Dead has become known for. Fans of the original can watch Fear the Walking Dead on AMC through Dish, DirecTV, and Hulu Sunday nights.